Clyde “The Glide” Drexler entertained Portland Trailblazer fans with his acrobatic flair and scoring prowess from 1983 until he moved on to his hometown Houston Rockets in 1995. With Houston Clyde promptly won an NBA championship, something he couldn’t quite pull off in Portland, though the team made it to the NBA finals in 1990 and 1992. 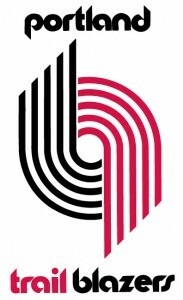 Other Portland greats on the two finals teams were Terry Porter, Buck Williams, Jerome Kersey, Cliff Robinson, and the late Kevin Duckworth. Clyde Drexler retired from the NBA in 1998. On March 7, 2001 his number, 22, was retired during a ceremony at the Rose Garden Arena. He now works as the color commentator for the Rockets.